Karbonn Mobiles launched new Android dual-SIM smartphone in India. Named as Karbonn Titanium S5 and Praised at Rs. 11,990 INR. It is a mid-range smart phone with bigger 5-inch qHD capacitive touchscreen display with IPS technology and 540 x 940 pixel screen resolution. 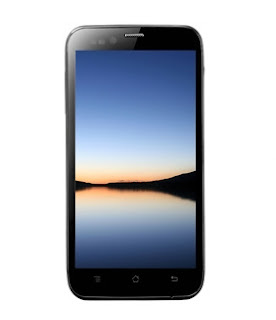 Karbonn Titanium S5 loaded with Android v4.1 Jelly Bean operating system and powered by 1.2 GHz Qualcomm Snapdragon Quad Core Processor mounted on MTK6589 chipset. It has 1 GB of RAM and 2000 mAh rechargeable battery. It built-in with 4 GB of ROM and external memory support up to 32 GB via MicroSD card slot. This droid come with 2 MP front facing camera in addition to a 8 MP rear facing Auto focus camera. Built-in sensors are Light Sensor, Accelerometer, and Proximity Sensor. For connectivity needs it come with EDGE, GPRS, 3G, Wi-Fi, WAP, GPS with Google Maps, Bluetooth, and 3.5 mm Audio Jack. For smooth web browsing it pre-loaded with Android web browser. 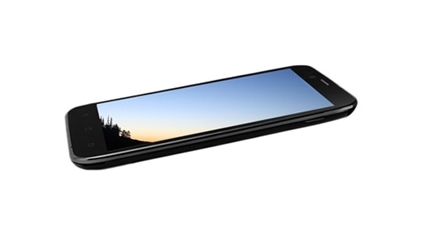 Karbonn Titanium S5 now listed on online retailer Snapdeal for Rs. 11,990 INR and coming soon in Flipkart. I recently bought this Karbonn S5 Titanium smartphone. I also liked the fact that it was the cheapest phone with the best of features. But after around 10 days of using it, my phone's Touch stopped working properly. I reported this to the company's service center. They said they cannot replace the phone as the company provides replacement only in first 7 days. And for repairing the phone it will take around 30 days.